Next IARCHS meeting is in Johnston, IA on March 2, 2019. See our Meetings Blog for more details. Anton and Bob arrived for their visit to KMA around 11:00 am on April 5, 2016. 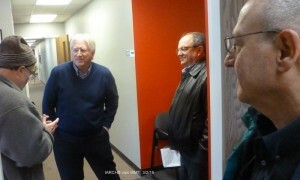 After introducing ourselves we were given a tour of KMA’s impressive newly remodeled studios. We gathered around the microphones with Chuck Morris, Digital Manager and Ed May Jr., owner and grandson of KMA founder, Earl May, to record about a 9 minute segment for their Friday, April 8th morning broadcast. Anton and Bob fielded questions from Chuck Morris about the club activities and its members. 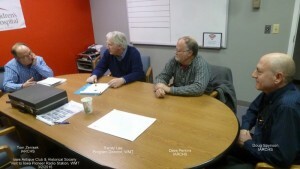 Chuck and Ed talked about KMA’s colorful history sharing some historical high notes. Bob read the IARCHS certificate and presented the recognition plaque to Ed May. After the radio interview we talked for awhile with staff and did a little more touring of the station. Chuck Morris and retired KMA broadcaster, Tom Beavers, then invited us to lunch at a local restaurant called the Sanctuary Restaurant. The restaurant is a church converted to an eating establishment evidently popular among the residents of Shenandoah as the place was full. After lunch Tom Beavers gave us the grand tour of the Shenandoah Historical Museum which was opened just for us. We were impressed with the displays and items in the museum. 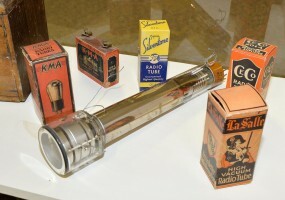 There are quite a few Earl May/KMA installations of interest in the museum including several old radios from the the 1920s and many things relating to the Everly Brothers who were residents of Shenandoah. After the museum tour we returned to the station and said goodby to Chuck Morris and thanked him and Tom for their gracious hospitality. Anton and I then drove back to Osceola where we had met for the carpool to Shenandoah and parted ways for our trip back home. It was a pleasant day for a road trip and Anton and I kept up lively conversation which made the trip very enjoyable. 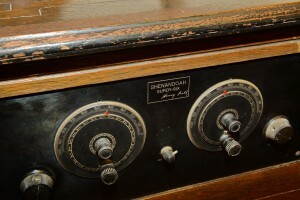 Pictures of a Radio Build in Shenandoah and used to listen to KMA back in the 1920s. 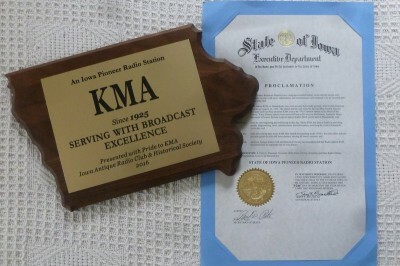 Just a quick note, don’t miss the KMA (960 AM) Pioneer Station award broadcast this Friday morning April 8 at 8:45. For those of you that don’t know, KMA is located in Shenandoah, Iowa. 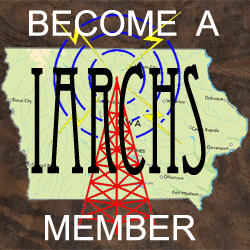 WHO Radio in Des Moines was the third station to be honored by IARCHS in our club’s 2016 project of recognizing Iowa’s Pioneer Radio Stations. 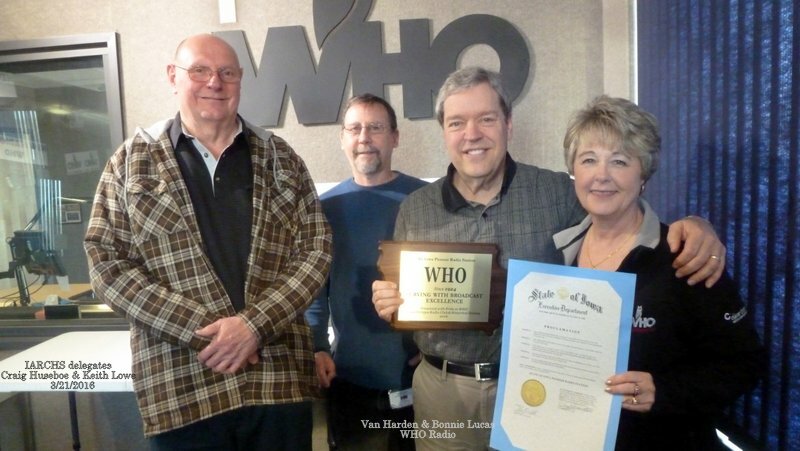 Craig Huseboe and Keith Lowe were our club delegates to WHO on March 21, and both found themselves on the Van & Bonnie Morning show which has a large listening audience in Iowa. Both Craig and Keith handled their roles quite professionally, as expected, and with a bit of humor appropriate to the show….like… “if I bring one more old radio home, my wife says she’s moving out”…. But talk show hosts Van & Bonnie were sympathetic, and said they also appreciated and even owned antique radios too. As with other IARCHS pioneer radio station visits, our main focus was to spotlight the history of that station. 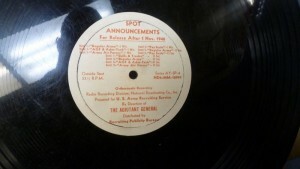 WHO went into their archives for us and found an amazing recording from WW2 that they played during our IARCHS segment on air. It was of Jack Shelly, their very well known WHO newsman who found himself on a Pacific island at the very end of the war interviewing the pilot of the B29 that just dropped the atom bomb on Hiroshima…Paul Tibbets… also from Des Moines. Van and Bonnie made a point very well with their playing of this special recording ….it represented just a tiny bit of the unbelievable amount of history that has gone out over airwaves from WHO to countless thousands for decades…and continues to this day. Craig and Keith, the IARCHS duo, presented WHO with a plaque from the IARCHS club and a Proclamation signed by Iowa Governor Terry Branstad naming WHO as “An Iowa Pioneer Radio Station”. Even though our segment on air was only about 12 minutes, it covered a lot of ground and was placed on the WHO website, with the IARCHS website mentioned. In just a few minutes after the broadcast, an email came in from an Ames listener wanting more information on club membership. 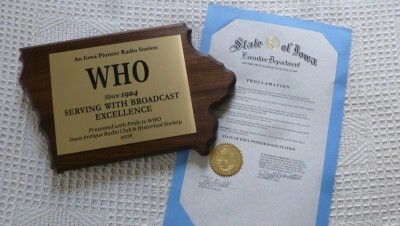 We thank all at WHO Radio, including those behind the scenes, for their hospitality and support. It was quite an experience. 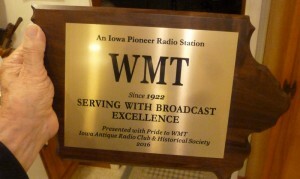 WMT Radio was the second stop in our club’s 2016 project to salute and bring new awareness to the heritage of six of the oldest Iowa’s Pioneer Radio Stations. 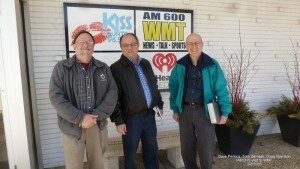 Both Doug and Tom did a great job on the Wednesday’s March 2, 2016 morning talk show hosted by Randy Lee, WMT program director. The 20 minute conversation of course was to dwell on the station’s history, which Randy led. 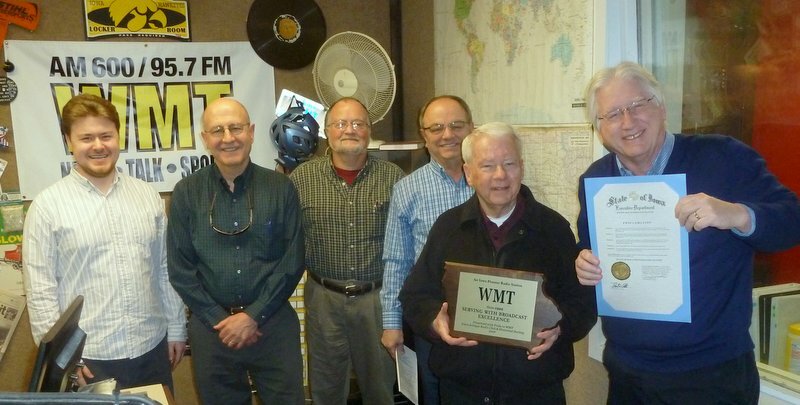 Tom presented the station a plaque as a gift from our club, and Doug had a proclamation to deliver from and signed by Iowa Governor Terry Branstad, naming WMT as a “State of Iowa Pioneer Radio Station”. There was also some information given about the club, and how to access the club website. The on-air session was videotaped by WMT, and we hope to see it before long after they have a chance to edit it. 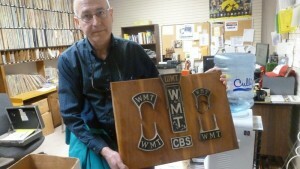 It was an enjoyable experience….even though the station is a very busy place, and their clock rules everything happening to the second, Randy Lee and all the others at WMT treated us very well with their warm hospitality. 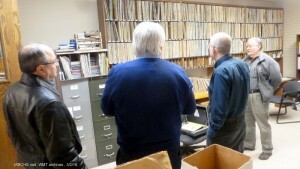 We had an interesting look into the WMT archives…a big room loaded with their on-air history on disks, and all other kinds of obsolete media….it might be a challenge to find the equipment in some closet to play those once again. Maybe at an IARCHS auction?? Just want to share with you….. the WOC video about our Iowa Antique Club & Historical Society (IARCHS) visit honoring WOC last Tuesday. We’re looking forward to visits at WMT, WHO, KMA, WSUI & WOI (IPR) as we travel across Iowa with similar encounters to honor each station in the next few weeks..
KMA & IPR will be also participating with us in one way or another in the near future , and we hope to have something to announce soon on them too. The Future IARCHS website, what’s new? We decided to change a few things on the IARCHS website because we wanted to use the website as a tool that the club could use to do a better job in a few specific areas. Be able to add pictures for each Iowa made radio when we can get them. Brett Wears does a fantastic job managing our radio auction, it is always a great time for all. We need to do a better job getting the word out to other radio collectors. The more folks that know about our auction, the better attended it will be. Better attendance should mean that more radios will show up at the auction, and that with more attendees, the a nice radio should expect an even better selling price. We intend to get there by highlighting our past auctions with searchable radio pictures, and by having a better current pictures gallery. 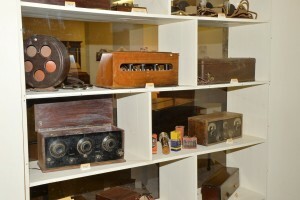 Pictures need names and descriptions if we want the collector of that radio to know we will have one at our auction. We can do this with our new website. This has always been a club asset on our website. The new site has reformatted the existing list, splitting it into two parts, a list by Iowa city, and a list my radio maker. This allows someone living in a city to look up radios, and also someone with a radio to look up to see if it was an Iowa radio. The new format will allow us to add actual pictures of these radios right into the ‘encyclopedia’ entry for it. If you have an Iowa radio, we would love to get a picture of it from you to put on the website. As a side benefit you will get website mention of you as the pic donor, you can always opt out if you don’t want the fame. 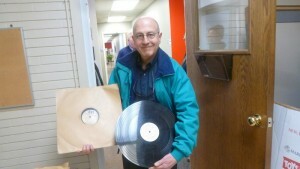 There has been some interest in profiling early Iowa commercial radio stations. There have been many, and only a few have survived through the years. 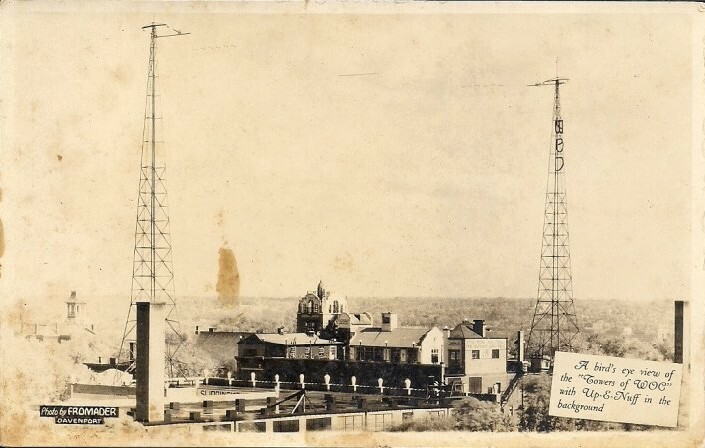 We added a new feature to the website where we list the radio stations that existed, call sign, frequency, and in many cases the corporate owner. We currently have the first 5 or 6 years on the website. The future goal is to highlight individual stations, describing their history, call sign, frequency, and power changes through the years. I am sure there are many interesting stories that can be shared surrounding these pioneer radio stations. FYI: at one point all the stations were on the same frequency, check it out. 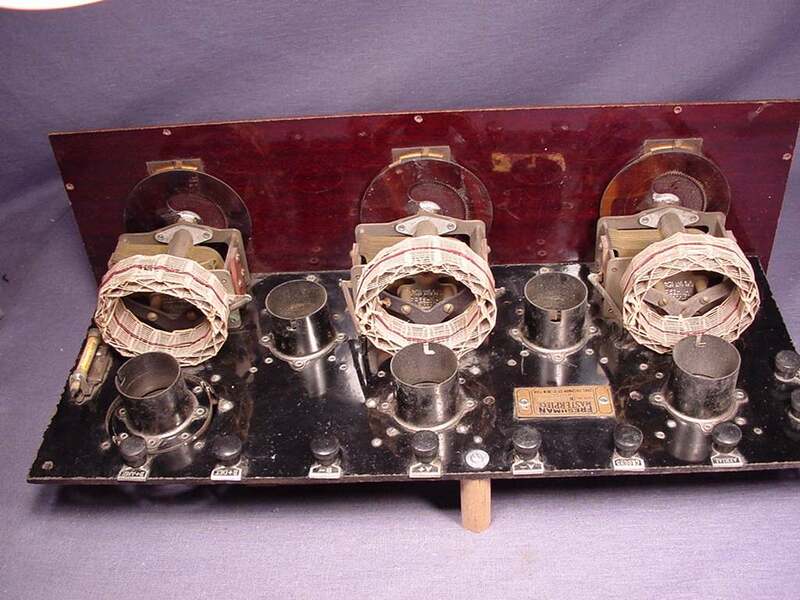 What happens to his collection when an avid radio collector passes away? This collection becomes an Orphaned Radio Estate that needs to be adopted. The adoption process is a difficult and extremely stressful process for most. The antique radio community is at risk of losing those wonderful radios, in some cases even unique one of a kind pieces. As concerned IARCHS club members we would like to see a happy adoption outcome, even if it involves a group of adopters connecting at our annual auction. We want to use this website to help this adoption process be less stressful for the late collectors family members. How that will be done we don’t know yet. But, if we can connect with even one otherwise lost Orphaned radio estate that will be a good thing. Why are we using http://www.radio-collector.com as our website name? 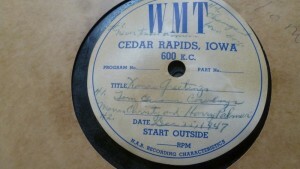 Actually it is just a second name, we will continue to use http://www.iowa-antique-radio-club.com as well. We haven’t transferred the name to this site yet because the final approval for the move has yet to be given. At this time all of the data content from the old site is now on radio-collector.com, plus some new stuff as well. To get better search engine exposure, this shorter more concise name is a great help. Having a second name allowed the new site to be built without degrading the existing one, which I thought was a good thing. When it is all done, our club website will have both names directed to it, and all will be good. This is not uncommon. 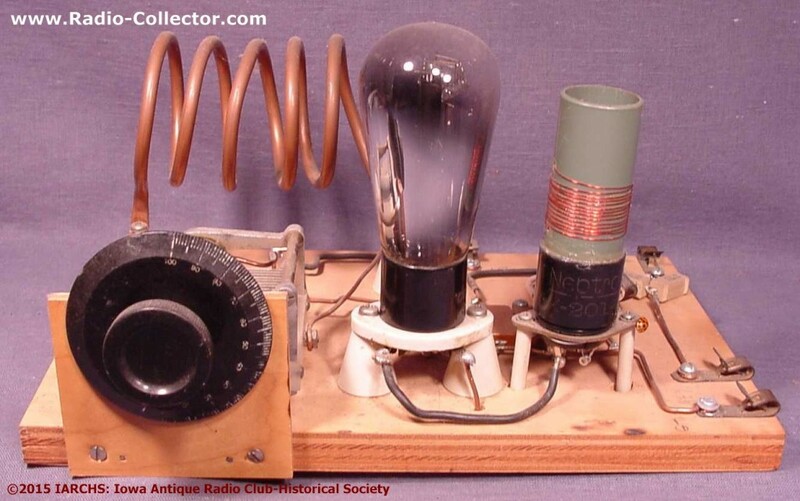 Being a member in a group that shares your passion for collecting, repairing, or researching radios is a really great thing. But with any organization there is the burden of administration, and making membership affordable. We hope to use this website to manage the majority of club membership paperwork. This would be done by having online membership and annual dues collection done by the website. The second concern occurs If we become famous and everyone wants copies of our stuff. This is a problem because of the large size of our technical library. Some of our documents are 200 megabytes in size, we also previously referenced another site that had even more huge documents, they don’t exist anymore. I would say the huge data bandwidth those documents generated cost too much to support. For that reason we are going to limit access to those document to members willing to pay an annual $5 membership fee. We are working out the details on this, ideas and comments are welcome. Check out our membership page for more details. We want to help the radio collector community, save rare Iowa made radios from destruction, get more visibility of Iowa’s radio heritage. If we work together, and allow this website to capture the fruits of our mutual efforts, I think that everyone will benefit. Let us know what you think. We have wanted to include Commercial Iowa radio station information for some time. As of today, we now have the first 5 years of officially registered commercial broadcast stations. 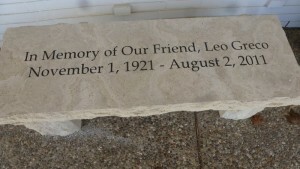 These are from the years 1922 through 1926. It would be nice to add a few more years as I don’t think WMT is there yet. What Iowa stations do you want to see? If you have background information on any of these stations share it with us so we can add it to our site content. Once we have a few more years done, we will add a Station Call Sign page where more specific station info can be added. We are trying to modernize our website so it will work better on mobile devices, plus we want to be able to add more interesting reference material. 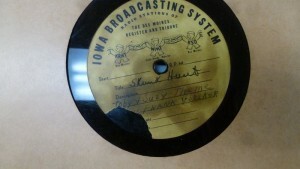 Please let us know your thoughts and ideas, we want to make the site a real help for Iowa radio historians and collectors.